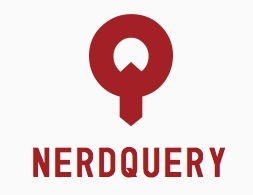 NerdQuery has received some tender loving care from Erik Hess this week. He's added some custom styling for some of the sites indexed by the search engine and I think it looks great. Each site now has a little favicon on the main page to give it a bit more recognition. He has also been at work making themed result pages that match the parent site a bit better. For example, Brett's results look more like Brett's site. 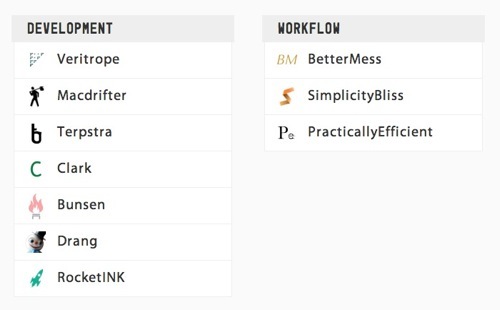 We're also adding some more sites to the index and the first is one of my new favorites, RocketINK.net. NerdQuery powers the search on my site and it exists for very selfish reasons. However, I certainly hope everyone else enjoys it too. Erik Hess talks about the design work behind NerdQuery. This was all news to me. I love hearing about the process of design, because it's such an enigma to me. He did a great job, in spite of me. Did you ever start something just to scratch your own itch.? Then it started to be better than you expected so you kept building and polishing until it became something you wanted to exist in the real-world? Yeah? I just did that. I've been using Sphider for the search on Macdrifter and I am extremely happy with the move. For my purposes, I find the search results to be more relevant and the ranking more appropriate than either Google or DuckDuckGo.